The 27th edition of the Motor Transport Awards took place on the 13th June 2012 at London’s Grosvenor House, to a sell-out audience of nearly 1,600 of the industry’s big names. 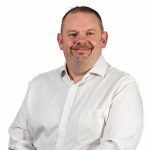 The Motor Transport Awards are the premier event in the transport industry calendar, celebrating best practice, outstanding achievement and innovation. The night was compered by comedians Jimmy Carr and Shawn Lock and, with 18 categories up for grabs, it was sure to be an exciting night – and it didn’t disappoint. The categories touched on all aspects of the industry from the Customer Care Award to celebrating innovation with the Best Use of Technology award, won by Palletways. Although these categories were strong in their own right, one particular category was the pinnacle of the night for the Keltruck team. The Apprenticeship of the Year category, which was sponsored by Keltruck and won by logistics firm Eddie Stobart / System Training, was presented by Chris Kelly MP who is also a non-executive director of Keltruck. 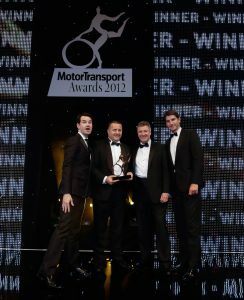 Highlights of the night and details of all the winners can be found at mtawards.co.uk.